Charles Gordon Norton from Coelbren served with The King's (Liverpool Regiment) and died in France in November 1918. 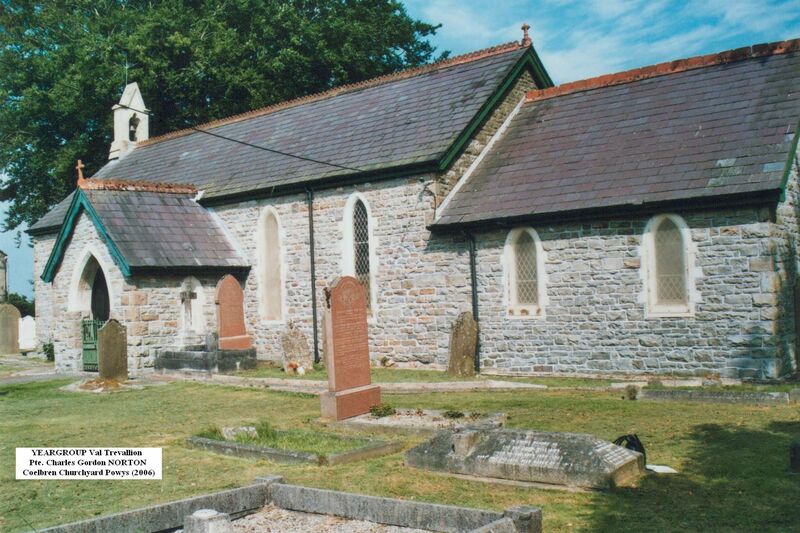 The information on Charles Gordon Norton has been compiled from a number of sources, including the Commonwealth War Graves Commission, from the Labour Voice newspaper, and the Parish Burial Register (courtesy of the Swansea Archives). Unit and Regiment The King's (Liverpool Regiment); 1st Bn. Remembrance Grave Colbren Churchyard, Church Road, Colbren, Powys. Grave inscription: Died in France. Greater love hath no man than this, that/He lay down his life for his friends. Cemetery ETAPLES MILITARY CEMETERY - FRANCE; LI. D. 4. Family Details Son of Charles Daniel (born Norfolk 1858, died 5th May 1921, aged 63 years), Butcher owned his own business , and Annie Matilda Norton (born Dorchester 1867, died 22nd March 1955, aged 88 years) of Colbren, Neath, Glamorgan. Father had his own business (Butcher). Lilian Ellen; born Radnorshire 1888, died 3rd Nov 1930, aged 42 years. 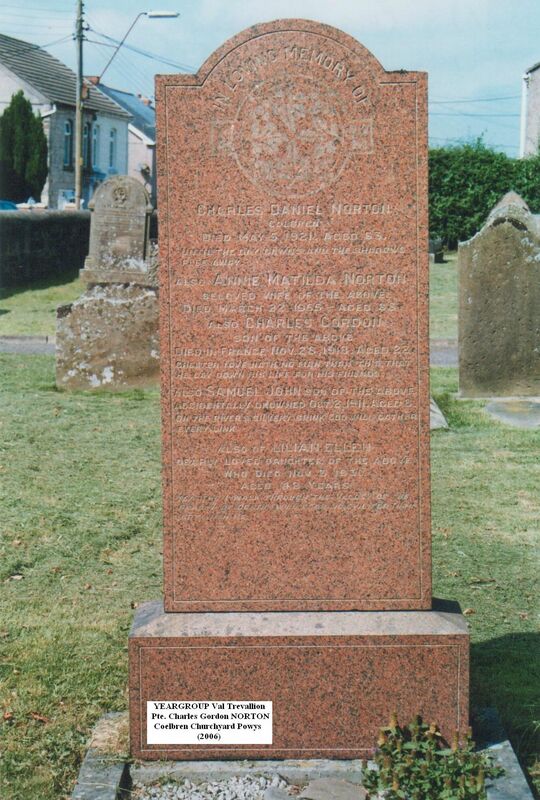 To the left is the Norton family headstone at Capel Coelbren, including remembrance of Charles Gordon Norton, who died in France, 28th November 1918. Lilian Ellen, Dearly loved daughter of the above, Died 3rd Nov 1930, Aged 42 years. On Saturday evening a presentation concert was held at the Council School, when Pte. Charlie Norton was presented with a silver cigarette box. Private Norton who is home on sick leave, was wounded recently in France but has now recovered, and is expecting to be sent abroad again. Intimation has been received of the death of Private Charles G Norton, Liverpool Regiment. Deceased who was the son of Mr Norton, butcher and general merchant Colbren, had influenza and subsequently pneumonia. He died in a Military Hospital in France.